What is the Freestyle Snowboard Club? 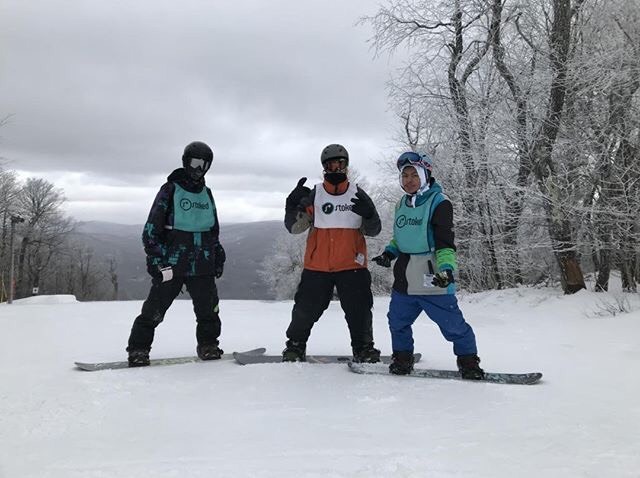 The Freestyle Snowboard Club (FSC) is a way to learn to collaborate as a group, while doing an activity that we all enjoy. In the process, we become better team players. How did you feel when you were on top of the mountain? When you’re on the mountain, you feel this sense of euphoria. It’s exhilarating! What happened after that picture was taken? After the picture, we prepared to go down the mountain together. On the way down, we encouraged each other and pushed ourselves the whole way. My most memorable moment from the mountain was definitely riding as a group. We encouraged one another to take turns and hit tricks at the terrain park. We also cheered each other on whether or not we landed a trick.